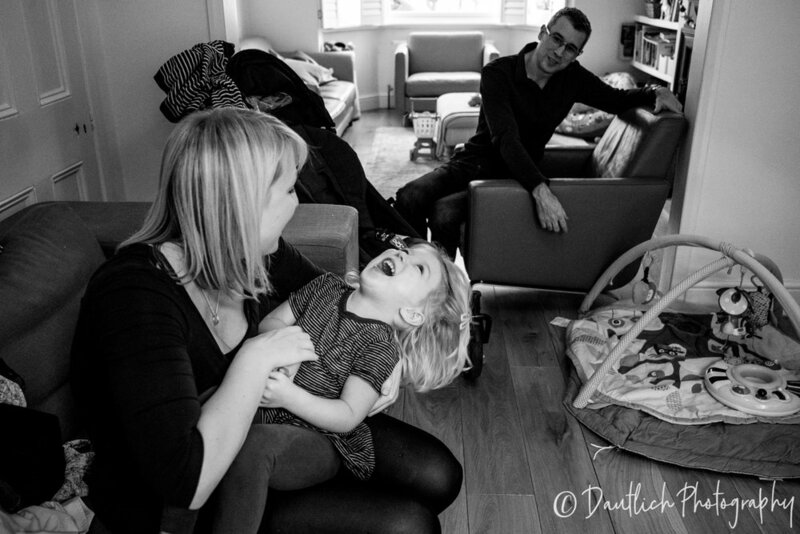 Theo and Kate live in a lovely area of East Dulwich in London. They have 2 gorgeous little girls, Lila (3 years) and Cleo (6 months). They are generally busy with life and balancing the needs of 2 littles. 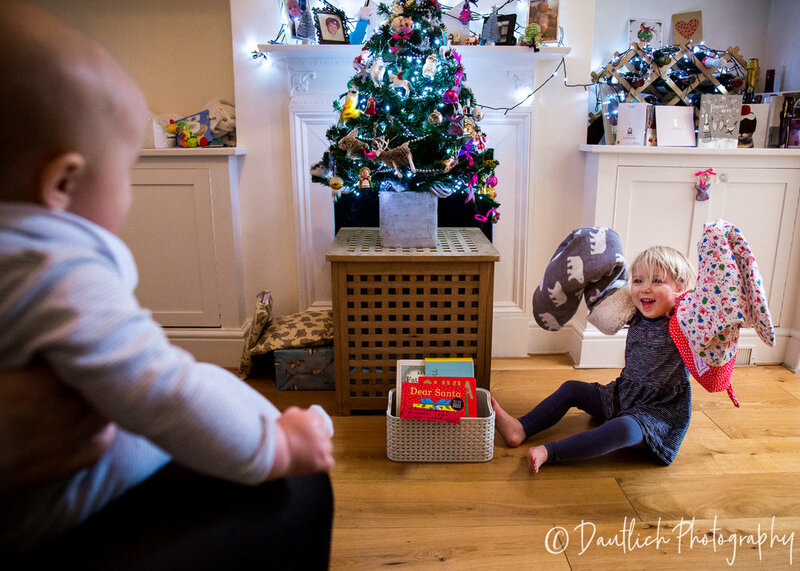 Their home is full of love, joy and at the time, lots of Christmas cheer and beautiful details! Theo and Kate had only had professional photographs taken of them during their destination wedding in Barbados. They didn’t have any guests with them so photographs of their special day were very important to be able to bring back to share with family and friends. Because of the nature of that type of photography, they found the experience to be staged and not representative of them. They have been hesitant to have a professional photo shoot since as they felt unnatural and down right ridiculous in some of them. When Kate learned a bit more about documentary style photography where the goal is to capture real people in their own relaxed setting, she became more interested in having photos taken again. 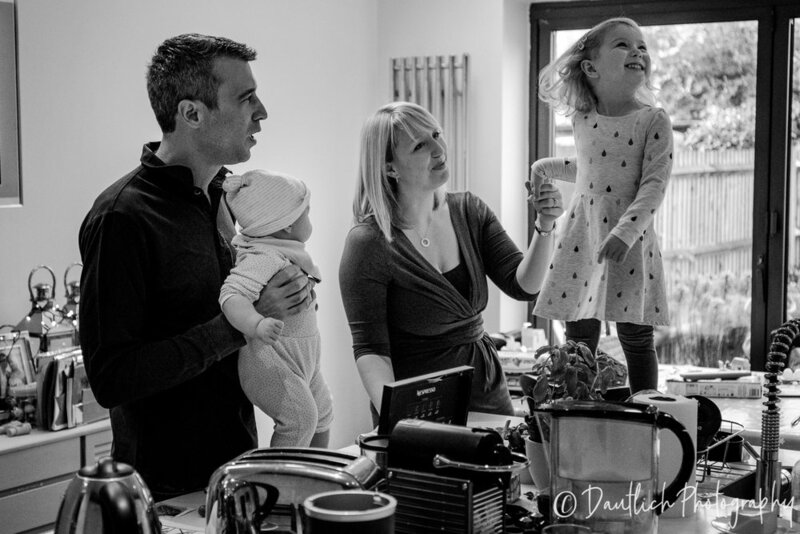 Kate and Theo have 2 young girls and documenting their family is important. This year seemed especially pivotal for them to have a professional photo shoot to capture their lives. Lila had just gotten into the magic and amazement of Christmas. She was so excited for Santa to come, she had her elf on the shelf and loved the ornaments on her Christmas tree as well as her gigantic stocking. And it was little Cleo’s first ever Christmas. The season of magic was the perfect time to take the plunge and give another photo session a try. Their goal for our time together was to get some natural pictures of the kids as well as have some with Kate in them since she’s usually the one taking the photos and is rarely in their own family documentation. They wanted to preserve their life as it was at that moment in time with their young family full of excitement for Christmas. She wanted some special images to be able to share with the girls when they grow up, to share with their future grandchildren and to hold on to the memories of the Christmas feelings of joy and magic. 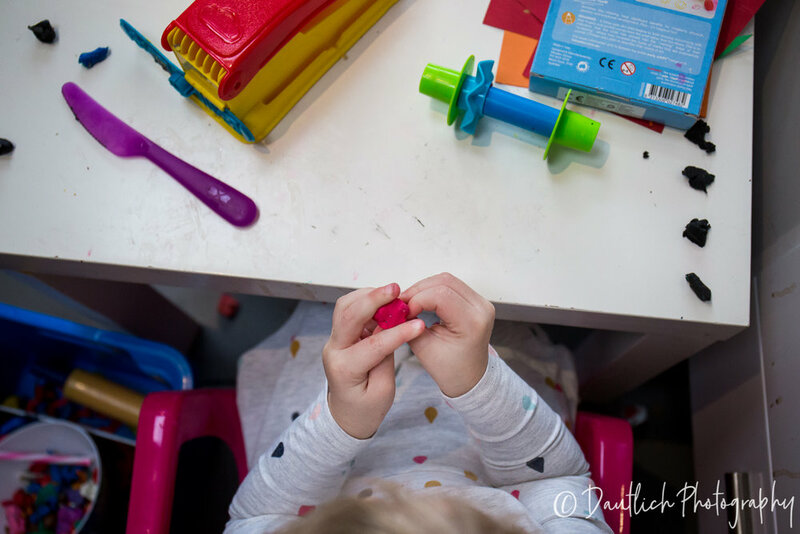 Kate was concerned that Lila wouldn’t behave during the session and that there may be some tantrums, as can happen with 3 year olds. She was also feeling a little self conscious about being in front of a camera. Luckily, documentary style photography is a relaxed style and there is no expectation about what kids should act like or how anyone should look (she obviously looked gorgeous). Kate’s concerns melted away shortly after we got started. We enjoyed a few hours of chatting and carrying on with their normal day off routine. We played, drank hot chocolate & ate snacks, enjoyed painting time and I met the elf! Our session was fun, easy and went by too fast! 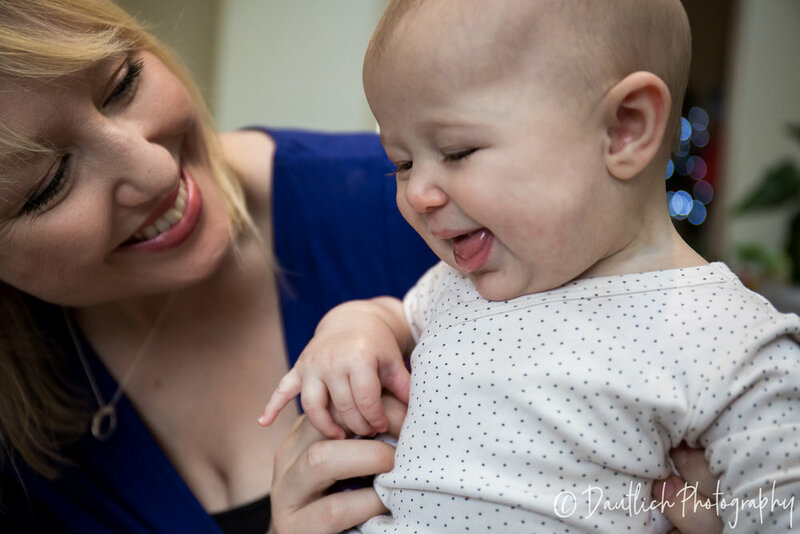 Kate was surprised at how relaxed she felt during the session and how her being calm encouraged Lila to also be at ease and just be herself. 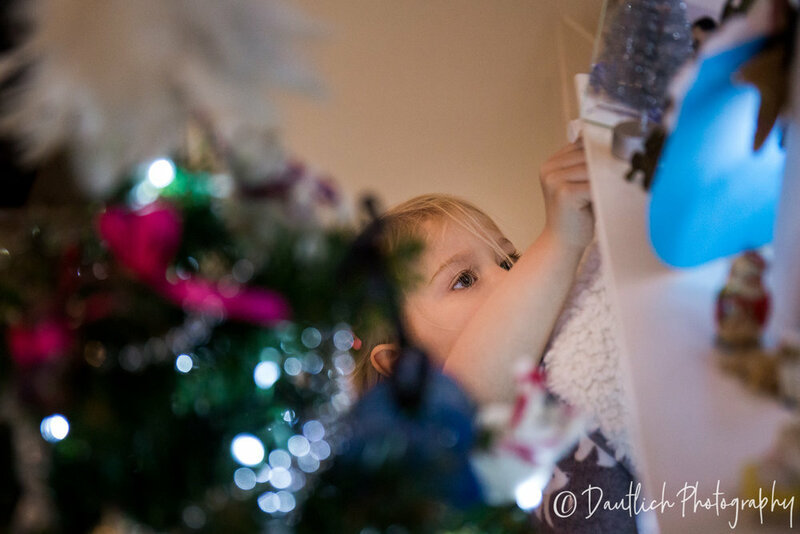 Their house was full of lots of little Christmas details that Kate (aka Supermom) made magical for Lila. They had an elf on the shelf with a fun spin to it, a magical fairy door with the most adorable footprints painted on the kitchen floor, a gorgeous tree with Christmas books under it and an array of beautiful decorations everywhere. Kate and Theo reacted so positively to their photographs when they were presented to them. Kate cried while watching the slideshow as she felt such a connection to the moments that were captured in each photo and how they reflected them as a family so beautifully. 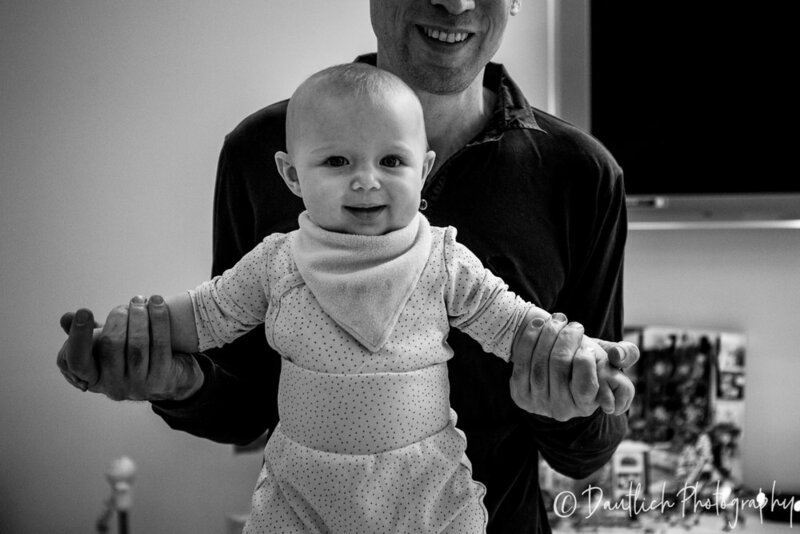 They are now big supporters of documentary style photography as it captures the real life moments, the real life connection and the story instead of just what a person looks like at a certain time in their life. The story of that special time in their life will now be preserved forever. You can see an abbreviated blog post about the Apostolov's here. If you'd like to learn more about preserving your family memories and creating photographs to show your children and grandchildren when they are grown, contact me here. I would love to learn more about what is special to you and how I can help show your family story. You can read more client stories or explore my blog to get more information on what makes documentary style photography and my creative talent so valuable. You can also sign up to my newsletter on my contact page to get updates, where I'll be shooting and occasional offers. "Our wedding photo session was hard work; we were exhausted afterwards. This documentary session was easy peasy. It felt like another normal day. It’s relaxed and there is no pressure to get ‘the shot’. As anyone with children knows, trying to get everyone looking the right way and smiling is near impossible! There is no need to worry about that with this style of photography." "I was so excited to see the photos. 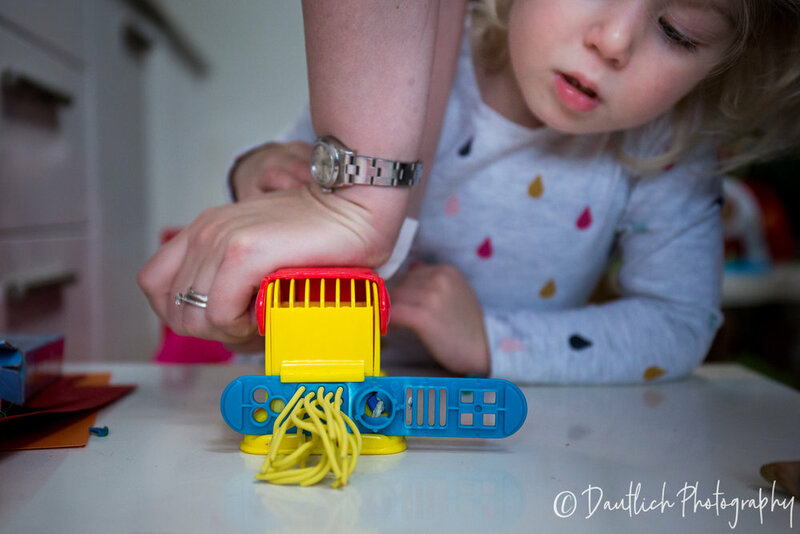 I was relieved that my little girl hadn’t thrown any tantrums! I cried whilst watching the slideshow. It was a poignant moment because I know that we are changing a lot as a family right now, adapting to Cleo as a little person rather than a newborn. 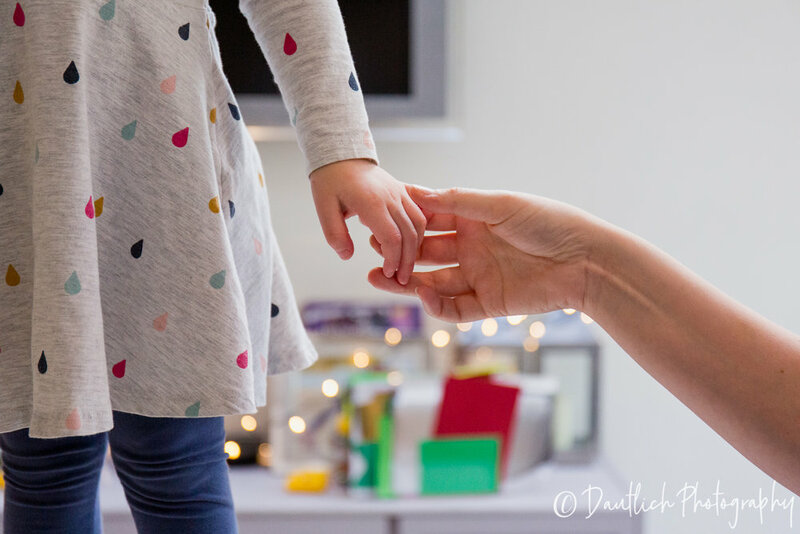 Each phase with children is so fast and you hardly have time to mourn the last phase before you’re faced with a new one. The photos reflected us as a family at that time so beautifully. I loved seeing the way April saw photo opportunities where I didn’t. It was really interesting to see the way her ‘eye’ worked!" "I have learned a lot about how special it is to capture moments rather than just what people look like. Our photos are individually beautiful, but also they tell a story as a whole about us." 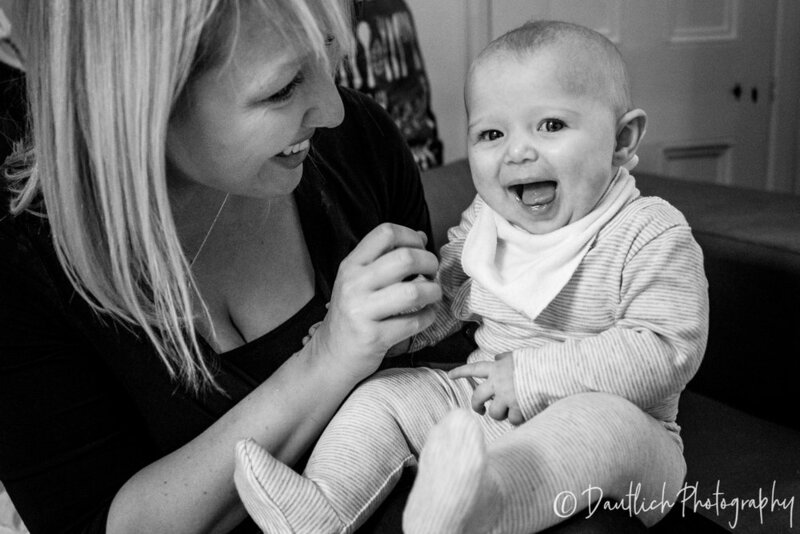 "Having these photos helps me to embed memories about this Christmas, when my children are nearly 3 and 6 months old. 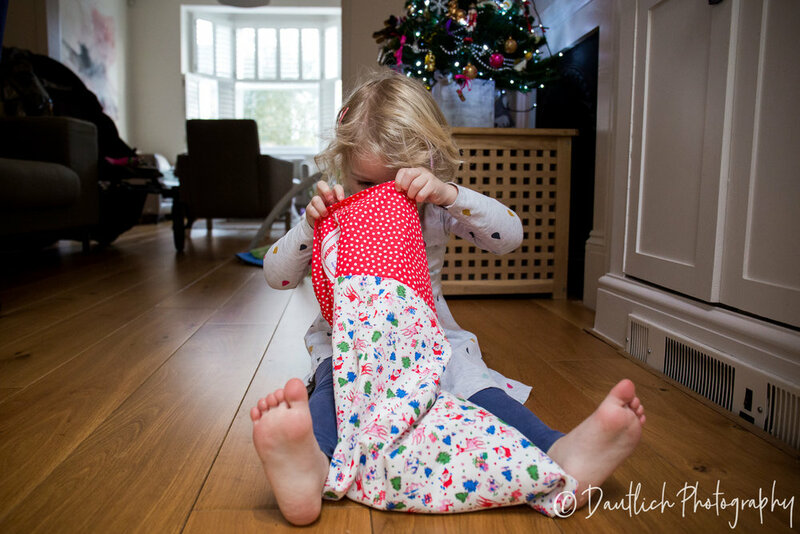 I’ll remember the excitement and the magic of this time by looking at these photos, especially the shots of Lila playing with her stockings, showing us her favourite decorations on the tree, and generally being an excited scamp!"